As expected from Gura Gear, the new Kiboko 2.0 bags are made from the highest quality materials and hardware, and are constructed to handle the harshest of condition all what protecting your gear from even the most extreme elements. It’s the small details that make these bags far and away the best bags on the markets. 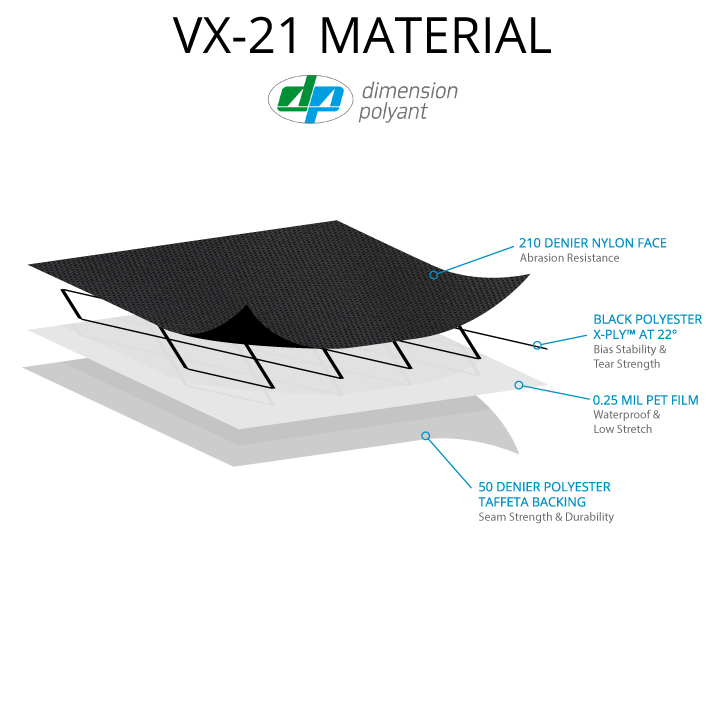 Sourced from sail manufacturers, VX-21 is some of the most durable, weather resistant and long lasting material available. The combination of low stretch, waterproof construction and 210 denier face fabric provides an ideal balance of weight and durability. Dimension-Polyant’s proprietary sailcloth technology combines multiple layers for superior tear resistance, durability and the best strength to weight ratio on the market. The Kiboko’s patented dual compartment with it’s unique butterfly style flaps are amazing for keeping the elements out of your gear, but when it comes time to load or unload your gear the newly added flap keeper strap system is a must have. 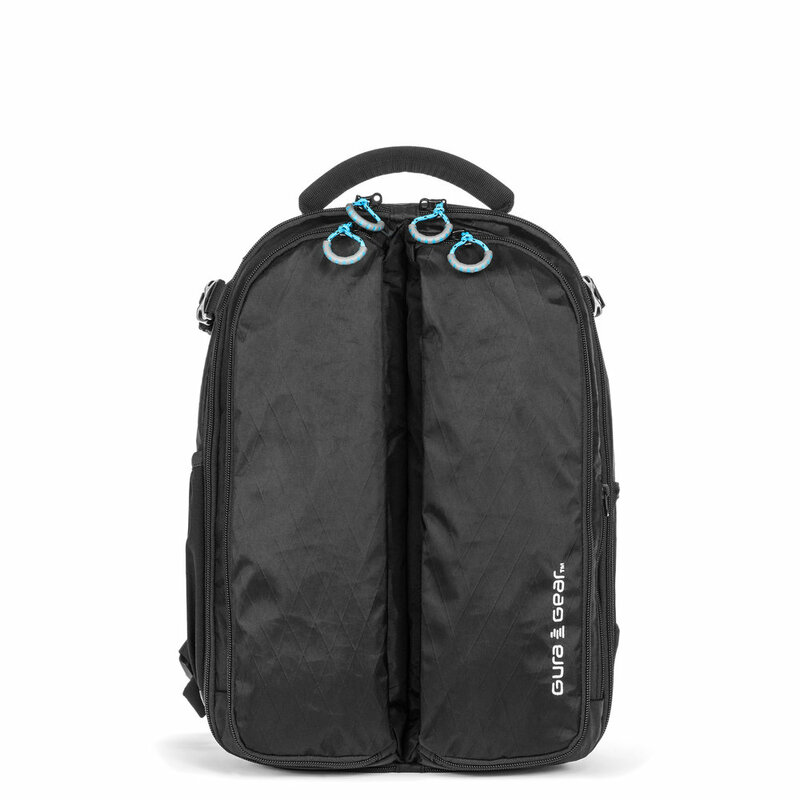 This simple strap allows you to keep both sides open for easy access to both sides of your bag, and tucks nicely out of the way when you are done. Every photographer knows that chasing light often means moving quickly. Sometimes that rushing leads to forgetting to close your bag all the way. Admit it, we have all done it. Version 2.0 of the Kiboko now includes sewn in blue bindings around both side flaps. This isn’t just for looks. If you see blue you immediately know your bag is open. Small detail - Big impact. A well constructed bag is nothing without hardware that is both dependable and easy-to-use. All Kiboko bags are outfitted with industry leading YKK® zippers. Each main zipper slider has a pull that is glove friendly and easy to see with the bright blue so you can see them even in low light.